Best Hair Salon In Chicago, Make an appointment!Straightening & Smoothing Services - Best Hair Salon In Chicago, Make an appointment! The Brazilian Blowout is an innovative and effective smoothing treatment that uses a nutrient complex and proprietary polymer system to improve the condition of your hair by eliminating frizz and smoothing the cuticle. Lasting about 3 months, this is the ideal service for smooth, manageable hair that brow-dries in a portion of the time. Kerastase’s revolutionary non-chemical smoothing and laminating treatment focuses on reducing frizz, fly-aways, and smoothing the hair all while maintaining movement. This treatment achieves maximum manageability while keeping extreme softness. This smooth-in-motion system will leave you in love with your hair. 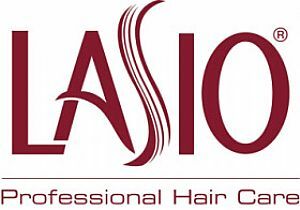 The LASIO® Keratin Treatments work by coating the hair strands in keratin; replacing the broken protein bonds and strengthening the hair by adding an additional layer of keratin. Our treatments soften and smooth the hair strands, removing 100% of frizz and transforming broken hair into manageable, shiny locks. All Smoothing and Straightening treatments have a 24 hour cancellation policy, if for any reason you need to cancel or reschedule your treatment please give the front desk a call at (312)-265-0481 with at least 24 hours notice to avoid a 50% charge.